Here at Church Road Dental and Cosmetics our dental professionals are highly experienced in all aspects of emergency dentistry including cosmetic and restorative dentistry, orthodontics, and implants. As a result patients can rest assured that when they seek a Manchester emergency dentist they’re in the very best hands possible. With this in mind, let’s introduce you to them. Your comfort, health and peace of mind are of the utmost importance to our team, and we guarantee the highest quality care imaginable when you choose us. Our treatment options improve your smile and energize your confidence. Our client’s perfect smile is all the reputation we need. 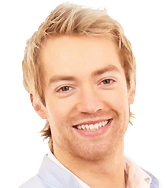 Our team consists of the leading dentists in South Manchester and Cheshire. Our award-winning clinic provides you and your family with exceptional dental care you can rely on. As Invisalign specialist, we can help you smile with confidence in as little as six weeks! 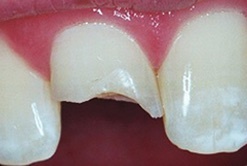 Transparent and completely undetectable, you can now enjoy straighter teeth quickly and easily thanks to our team! Preventative dental care is essential to maintaining a healthy smile, and our highly trained dental hygienists assist clients in Manchester, Stockport and Cheadle in doing just that through quality, pain-free cleaning services. When faced with a dental emergency, turn to our clinic. Our emergency services are available both during and outside of our normal business hours. When we say you’re in the very best capable hands, we really do mean it. Dipesh Patel has a special interest in cosmetic dentistry and dental sedation and as well as being one of the best cosmetic dentists in the area, is now also a Clinical Teaching Fellow at Manchester Dental Hospital. 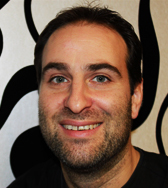 Has a master’s degree in Restorative Cosmetic Dentistry and in 2012 was named the best young dentist in the North West. Our Clinical Director has considerable expertise in cosmetic dentistry and has also attended a number of courses on orthodontics. 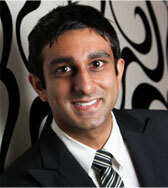 In addition he has an advanced certification in dental implants. 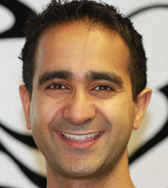 Rajesh Kumar specialises in restorative dentistry and after gaining a Certificate of Cosmetic and Aesthetic Restorative Dentistry he has the skills to offer patients the very best aesthetic dental options. Call us, email us or just pop in, we’re always here for you! Need an emergency dentist in Manchester? When you're in need of a Manchester emergency dentist, we can help. At Church Road Dental and Cosmetics we offer an emergency dental service so patients can be treated out of hours. Whether it's 3am on a Monday morning or 2pm on a Sunday afternoon, our experienced team ensure that you get the necessary treatment when you need it most. In the event that you need an emergency dentist in Manchester you can call the emergency number. 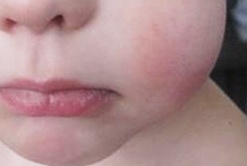 You'll be put straight through to the on-call emergency dentist who will assess the situation. If you need to be dealt with straight away, the dentist will arrange to meet you at the practice. When a dental emergency occurs, it's reassuring to know that our state-of-the-art practice makes it possible for our award-winning dental team to provide outstanding levels of care. Whether that be treating a painful abscessed tooth, avulsed (knocked out) teeth, a tooth that's dislodged or cracked, or severe dental bleeding, we can treat you right here. With no referrals necessary, you can be sure of an extensive, hassle-free service. So if you're suffering any form of dental pain, severe bleeding, or sudden tooth loss, then pick up the phone and call Church Road Dental and Cosmetics now. We guarantee the highest levels of dental care for all patients. 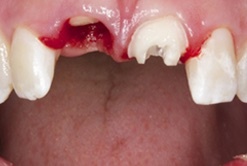 When you arrive at our clinic the emergency dentist will do all they can to stop any bleeding or pain. 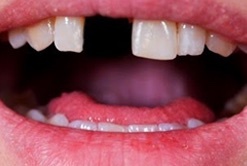 This may mean a temporary tooth repair or temporary crown, or in the case of a tooth or gum abscess, draining and cleaning out the area thoroughly. Once we've made you comfortable, we'll schedule another appointment for you at your earliest convenience (usually the very next day) to complete the treatment and ensure that you leave with a healthy and happy smile. Remember there's never a convenient time to need an emergency Dentist in Manchester which is why we're here for you 24 hours a day, 7 days a week. Call us today on 0161 485 7376 for a free consultation!